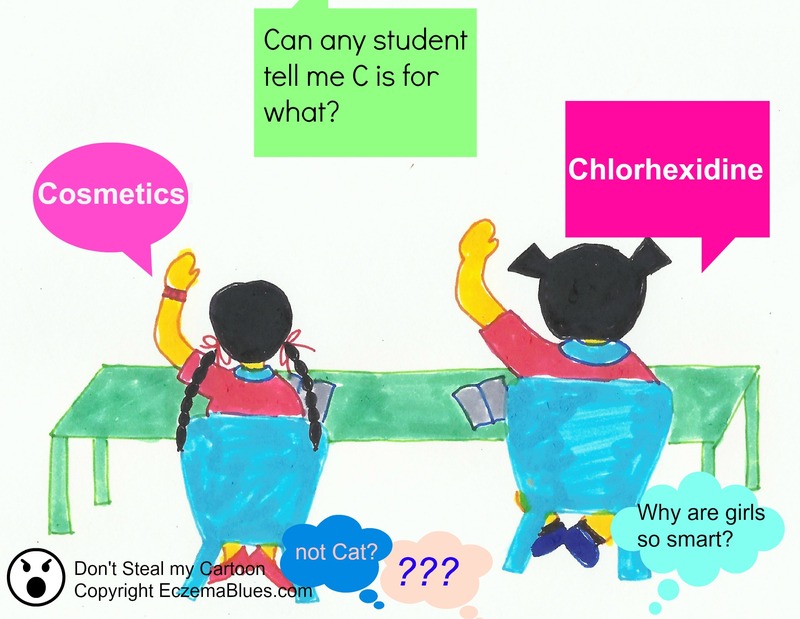 Posted byMei 19 May, 2014 24 March, 2014 Leave a comment on Life of Eczema Girl – C is for what? This is the 43rd of my 2nd cartoon series, ‘LIFE OF AN ECZEMA GIRL’. For more on chlorhexidine, check out link. Also, read sharing on use of cosmetics. For more cartoon in this series, check out here.